Marketing isn’t a one-time consideration. You do it; it’s done. Instead, marketing is an on-going process of updates, testing, refinements, more testing until your site is growing naturally, on its own. The process starts with an analysis of your existing site with an eye toward things like improving the site’s PageRank (PR), visitor retention and conversion and cutting load times so that potential visitors don’t wander off waiting for your home page to load. Next, whether yours is a brand new site, or one that’s languished in the backwater of search engine results, we deliver increased visitor traffic — NOW! Using a variety of SE options such as Pay-Per-Click and link buying, we find low-cost, proven strategies to get more people to your home page in less time. The third aspect of our campaign focuses on improving your site’s PageRank within the most popular search engines. The higher the site’s rank, the higher it appears on search results produced by a user’s query. Using the latest in search word optimization, reduced page weight, virtual spidering and other evaluation and development tools, your site will soon achieve the PageRank you need to generate traffic organically — through search engine results. Marketing your site is a process. 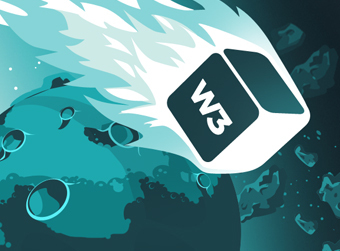 At W3 EDGE we know the process, we know the methodology, we know the tools and we know the results you’re looking for. We also know that it’s better to lead than to follow. We lead.